One particular sort of fragility that I began hearing about in the last couple years -- and perhaps should have heard of much sooner -- is white fragility. Let's look at that. We Unitarian Universalists, of course, do not have this problem, right? We have been in the vanguard of supporting civil rights. Unitarian Universalists were marching with Martin Luther King in Selma in 1965 in greater numbers than any other predominantly white denomination. We Unitarian Universalists are “a Beloved Community that is smart, savvy, well-meaning, informed, thoughtful, politically aware and just generally nice,” as one of us put it. 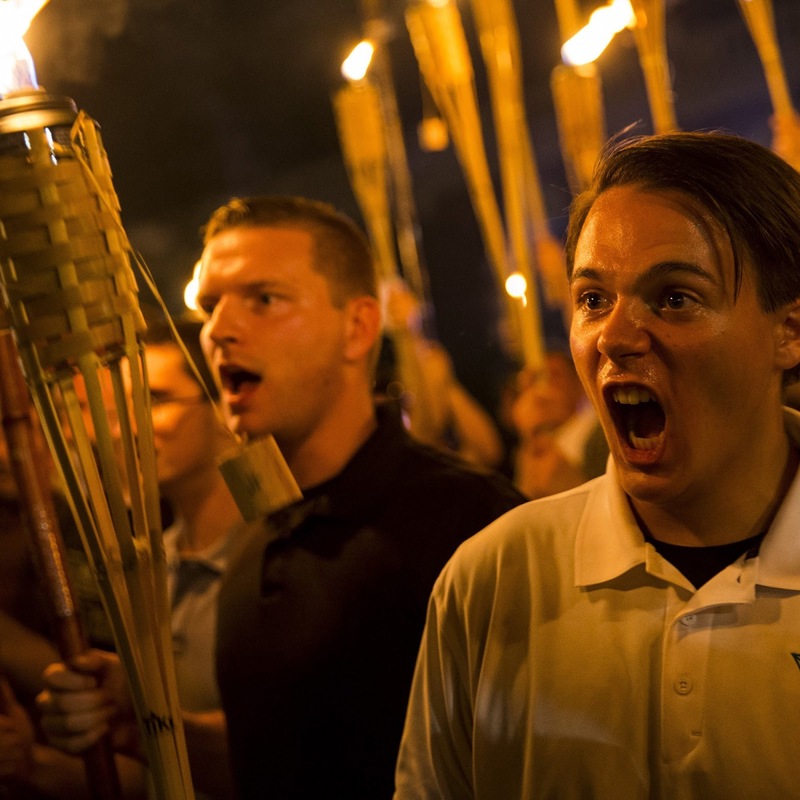 White fragility is a condition of white supremacists like Richard Spencer, David Duke, and those people who marched in Charlottesville with tiki torches to defend confederate monuments. Not us Unitarian Universalists. Right? 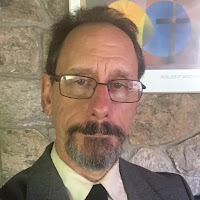 I know I have more work to do – and maybe some other Unitarian Universalists do, too. I sometimes have a defensive reaction about my complicity with the systems that perpetuate white privilege. I acknowledge that, but still recognize that we Unitarian Universalists also have a good head start to build on in a lot of ways. We aren’t reactive against people of color in positions of leadership – we don’t have a presumption of white authority that that challenges. Nor do we presume white centrality -- we go to and enjoy movies in which people of color drive the action but are not in stereotypical roles. We understand that group membership is a significant part of who one is, and we acknowledge that access to jobs, housing, and education remains unequal between racial groups. It doesn’t bother us when a fellow white person declines to provide agreement with our own racial perspective. We hold no expectation of white solidarity. We are glad to get feedback about any behavior of ours that might have a racist impact, regardless of intent. We don’t cling to a cherished notion of white racial innocence, and we understand the concept of negligence: that a person can be blameworthy for harm done even if they don’t intend any harm. (A swimming pool owner doesn’t intend for the neighbor’s kid to drown in it, but absence of intent to harm isn’t enough. Pool owners must take positive action to make sure the harm doesn’t happen, such as putting up a high wall around the pool.) We understand our obligation to learn what words and actions are hurtful and avoid them because we know it’s not enough to intend no harm. We exercise due diligence to avoid unwittingly doing harm. This diligence includes actively seeking out and reading essays and stories by people of color so that we better grasp what harmful impacts we might have regardless of our intent. Right? We appreciate hearing people of color talk directly about their own racial perspectives. At the same time, we don’t demand that people of color tell their stories and answer questions about their racial experiences, because that would be expecting people of color to serve white people. We aren’t bent out of shape by the suggestion that our viewpoint comes from a racialized frame of reference. We aren’t reactive about such challenges to our objectivity. Right? Well, yes. That is right — mostly. I like that about us. We Unitarian Universalists do pretty much understand those things. We’ve got some work to do – I have some work to do – to understand some of those things more fully and to grow further less reactive to certain challenges, to grow less complicit in sustaining the systems of our white privilege. But from what I see – and I know my vision has a racial bias and isn’t entirely trustworthy, but from what I see – we’re ahead of the curve of white Americans generally. Our faith, then, calls us to do two things. First, we must continue our own work and get ourselves even farther ahead of the curve, learn more, become even more racially resilient and less reactive, less complicit, better allies of people of color. Second, we can do a better job of challenging the presumptions that are still too prevalent in our country at large – presumptions of white centrality, white authority, white innocence, and white objectivity. Unitarian Universalism IS a force doing that in the world – AND we can do it more. This is part 2 of 3 of "Resilience"